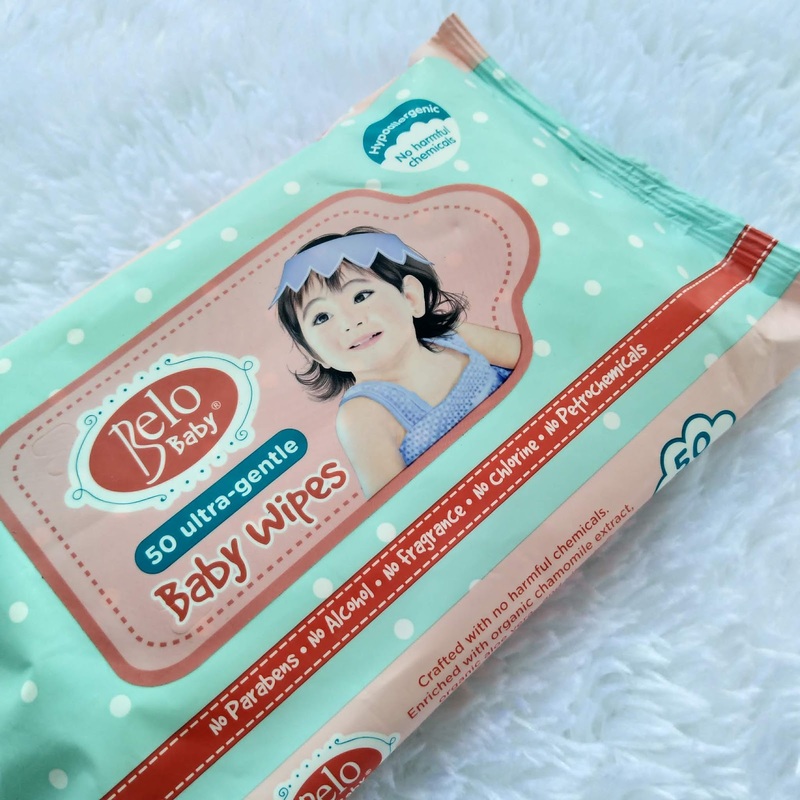 I recently received the newest wipes from Belo baby courtesy of my Sample Room points. 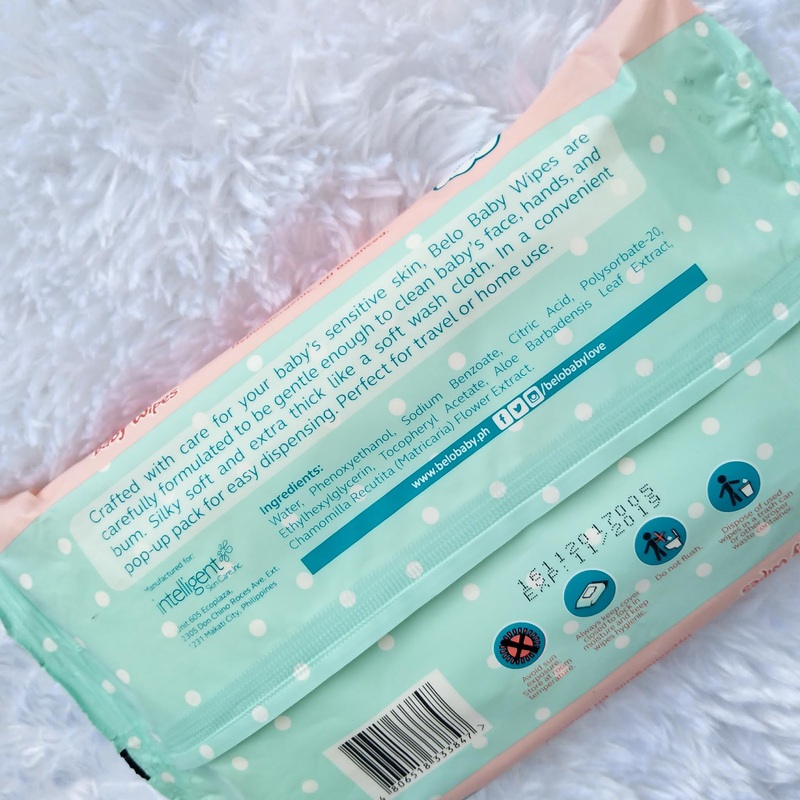 I've been loving wipes since I became a mom because I think, wipes can be used in almost all things at home. It became a staple in our household. I think I tried every wipes I can see and I've been thinking if I can create a post on a battle of wipes and see who will win. Hopefully I can work it out in the future. For now, let me rave about this product I got. As I saw this Belo wipes in Sample Room, I immediately grabbed the opportunity to get a sample and experience it first-hand. Now I am totally loving it! 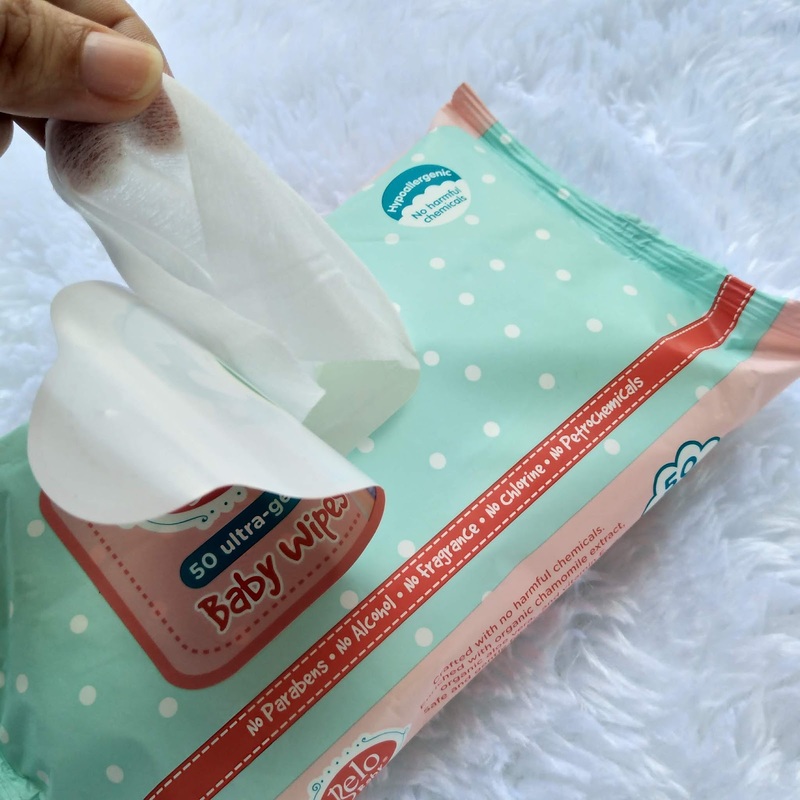 It is a pull up wipes with 50 ultra-gentle pieces. Design-wise, parents with female children might be attracted to this more compare to mom with boys because Scarlet Belo was on the cover. Well, this was just my thoughts. The color was also soft pastel which gives off a more feminine look. Since availed at Sample Room, it is free of charge and just paid for the shipping. When priced regularly, it retails around P69.75 at supermarkets and also on Sample Room website. 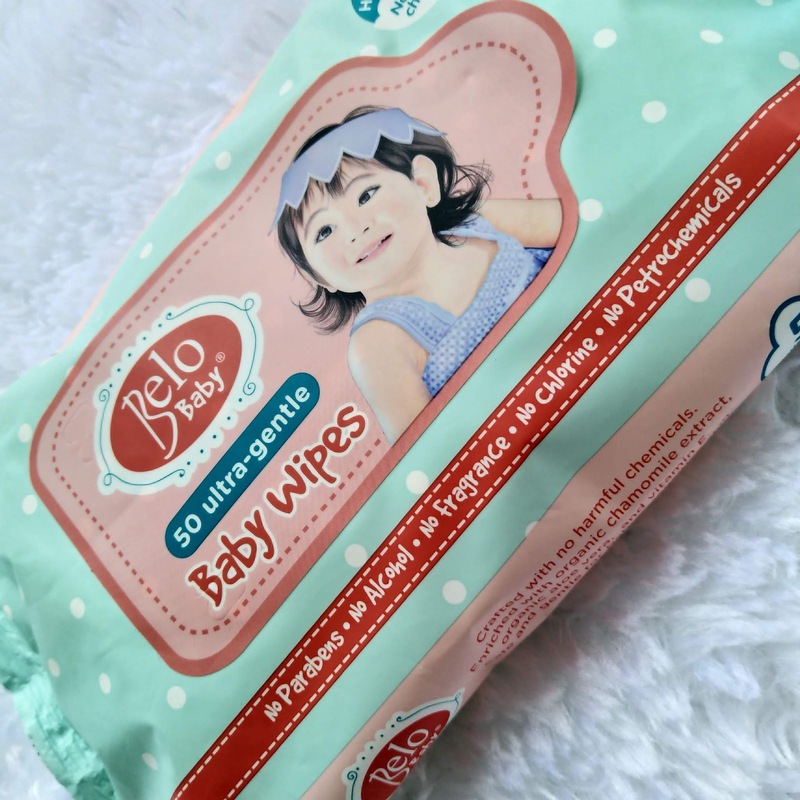 For one, Belo Baby wipes has no parabens, alchohol, fragrance, chlorine and petrochemicals that can be harmful on baby's skin. Of course, us moms would like anything that are safe for our beloved ones. The texture was soft to the touch and clean. The cloth is thick and doesn't have any sticky feeling when used. It also doesn't have fragrance so there's no alcohol scent unlike other wipes. It doesn't easily tear up even if rubbed several times to the skin which is great if your cleaning baby's dirty hands. Though I'm talking bout the strengths of this wipes, I noticed that the essence evaporates as time goes by or perhaps by opening the package several times. I think I kept this for a month for the sake of review and observed if it will dry up fast and it did. Only a little wetness was left on the remaining cloth. Apart of that, it is great to use this wipes. Highly recommendable.